Not every Marine that serves their country is a United States citizen. At least not always right away. There are different scenarios that a Marine can obtain their citizenship from their service. The U.S. Citizenship and Immigration Services (USCIS) have laid out the different ways Marines and their spouses can become citizens through military service. A Marine must meet the qualifications to become a citizen of the United States. They must show good moral character, knowledge of the English language, knowledge of the U.S. government and history, and must take an Oath of Allegiance to the United States. Other minimum requirements that must be met in order to gain citizenship include being age 18 or older, must receive an honorable service recommendation after 180 days service for active duty and 1 year for reservists. If they've been separated from the Marine Corps they must have been separated honorably. They must be a permanent resident at the time of examination on the citizenship application. Have continuously resided in the United States for at least five years and have been physically present in the United States for at least 30 months out of the 5 years immediately preceding the date of filing the application, unless the applicant has filed an application while still in the service or within 6 months of separation. In the latter case, the applicant is not required to meet these residence and physical presence requirements. Marines can gain citizenship through their service during peacetime as current service members and those that are already discharged. In order to qualify they need to have served honorably for at least one year, obtained lawful permanent resident status, and meet the other general requirements previously stated. On July 3, 2002 the President signed an executive order authorizing all non citizens who have served honorably in the military on or after September 11, 2001 to file for citizenship. This order also covers veterans of designated previous wars. This authorization related to the War on Terrorism will remain in effect until a future Presidential executive order goes into effect. The USCIS established the Naturalization at Basic Training Initiative in August 2009 and then extended it to the Marine Corps in 2013. In this process the USCIS conduct the capturing of biometrics, the naturalization interview, and administering the Oath of Allegiance. 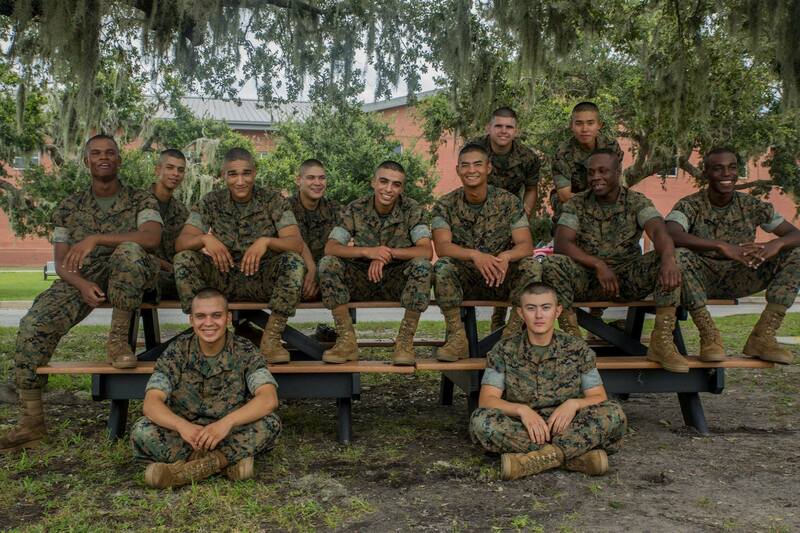 This initiative gives Marine recruits an opportunity to to leave boot camp as U.S. citizens. 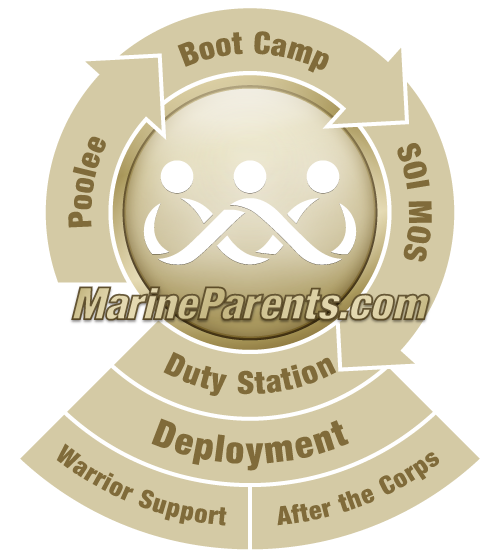 There are cases where the process isn't finalized in boot camp, and must be completed down the road as training permits. Generally, service members who served honorably in the military and died due to injury or disease while on active duty, are eligible for posthumous citizenship. The application for posthumous citizenship must be filed on behalf of the deceased within two years of his or her death. If approved, citizenship will be established on the date of his or her death.